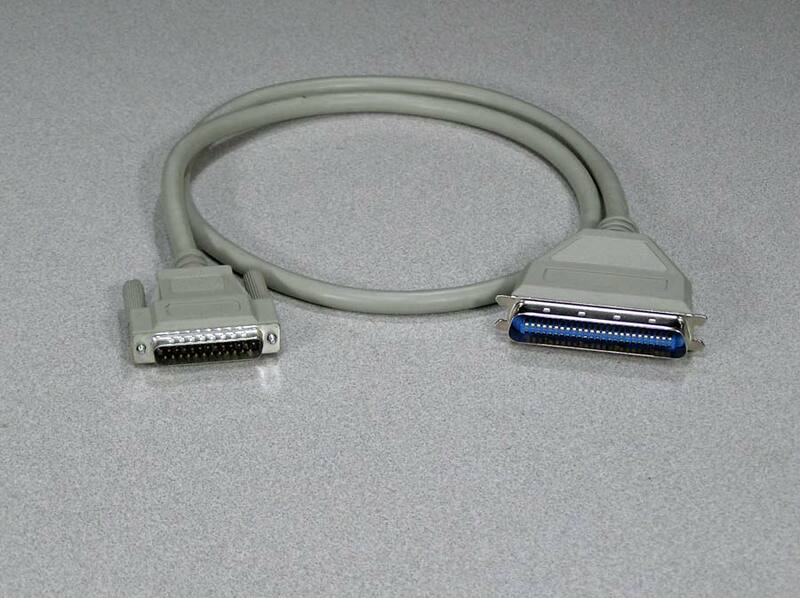 SCSI 1 or 2 Cable. 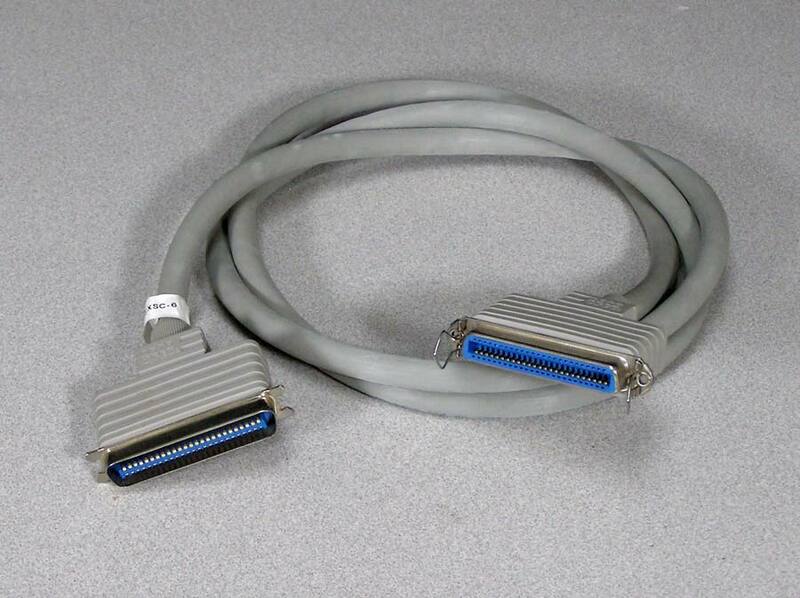 This DB25 to Centronics 50 cable is used to connect an external hard drive, Zip drive, or scanner to the SCSI port of your Mac. Works with the Macintosh Plus through the Beige G3. 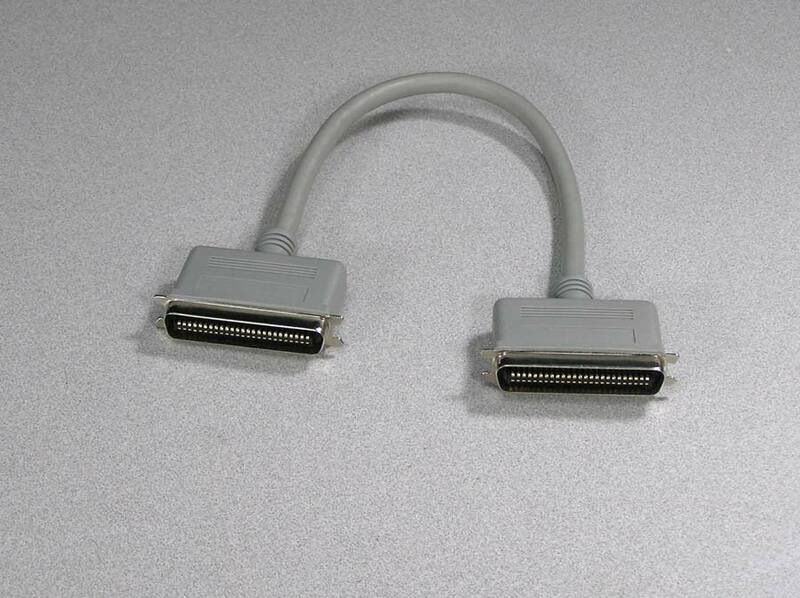 Also used for external hard drives on the Apple //e or IIGS with a SCSI card. Available in several lengths, most common is less than 2 feet. Also available are Centronics 50 M/M for chaining SCSI devices, and an extension cable - Centronics 50 M/F to extend your length. From a variety of manufactures, colors can be white, gray or beige.